This is Part 8 of 12 MLC's Scuba Gift - this time Seasons Game Curtains "Window Dressing" in 21 Plain and Gingham recolours. 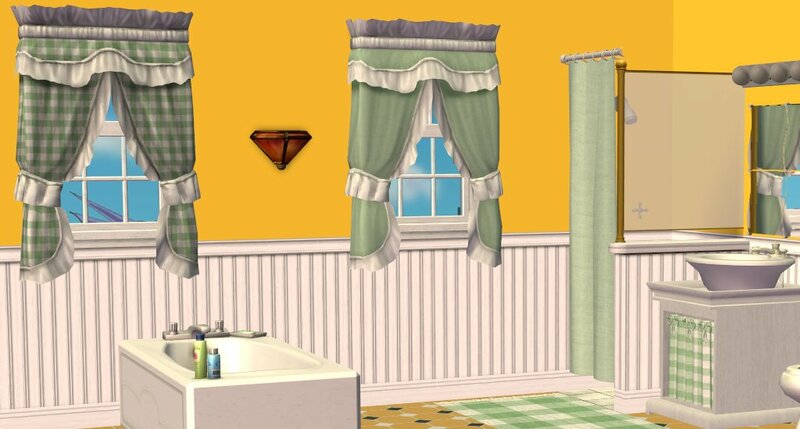 Other CC is Jonesi Blanket Repository Objects from Sims2Artists, using Jonesi Blanket Scuba Recolours. Do not upload to Paysites or TSR. Apart from that, feel free to use, modify, mutilate, etc. Credit would be nice. Thanks. I also like the gingham better on this than on the original - it was all squidgy for no reason.